1 lb of ground breakfast sausage. Frozen and vacuum sealed for freshness. 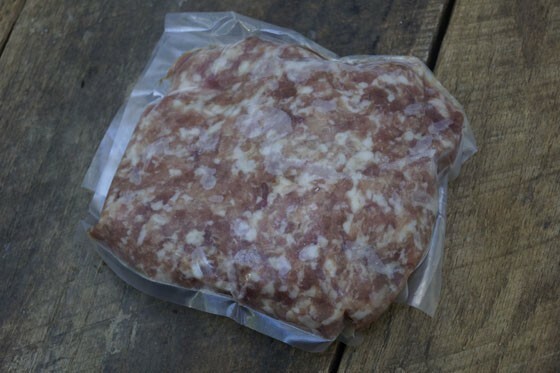 Our pork is pasture raised and rotated onto fresh pastures every two weeks depending on the weather. We do not vaccinate or give added hormones to our pigs. Sage, Red Pepper, and Black Pepper.